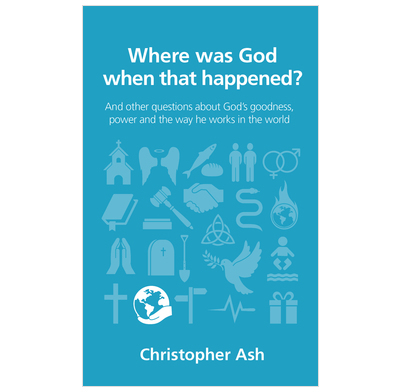 Christopher Ash’s Where was God when that happened? is a book for all of us who are overwhelmed by global and personal tragedy. Ash understands the heart wrenching reality of the question and he understands how the Bible provides an answer that does not gloss over the pain but addresses it at the deepest possible level. He writes for ordinary people crying out for answers but especially for Christians who don’t know what to say when asked. I was helped to rejoice again in 'the utterly good sovereignty of God'. I intend to give a copy to the many people I know who are struggling with these questions in the face of real suffering, pain and terror in the world. When a disaster happens or a personal tragedy strikes, Christians may begin to doubt that God is either truly good, or truly in control, and often they find themselves defending their faith to non-believers who think that if there was a God, he wouldn’t have let it happen. Where was God when that Happened is an accessible paperback that doesn’t shy away from the tough question of God’s ultimate control over everything. This is a concise book with biblical teaching that will help people understand that God is always there, even in times of trouble. A good read.